Lately I have not been treating my hair very well and it is starting to catch up with me. I never really use to do highlights or coloring. I might do a semi-permanent to give my hair some shine and cover the grey’s but it was only in the last 3-4 years that I started changing my hair color. The problem with highlights and hair coloring is eventually your hair will retaliate. This is what I’m going through right now. I’ve decided to stop getting it colored and had to color one more time to bring it back to a brown color. Now my hair just doesn’t feel the same. It often feels dry and frizzy at the ends. I have been searching for something to get me through and repair it as much as possible without having to go short. 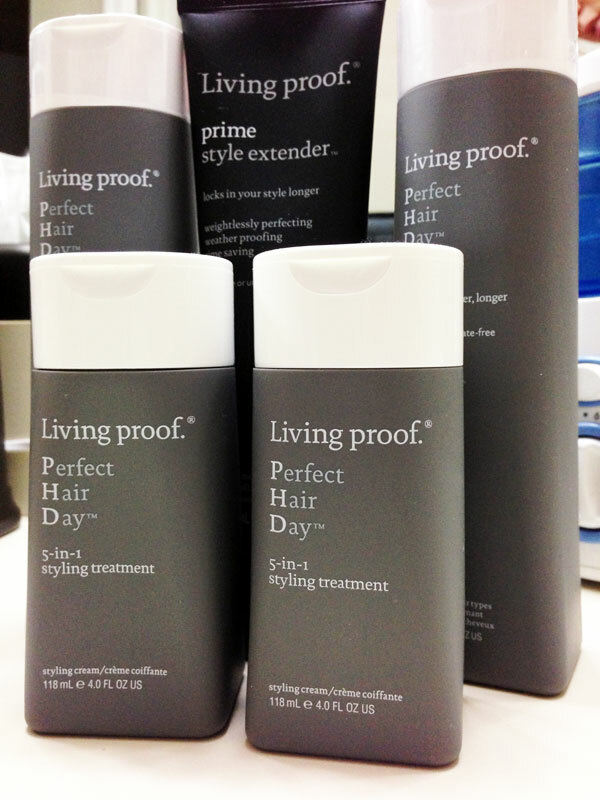 I was recently introduced to Living Proof and was sent the products to try. The three main products I am testing is the PhD shampoo, conditioner, and 5-in-1 Style Treatment. The process is pretty simple. After washing and conditioning your hair you should towel dry and remove any excess water. Simply take a dim to quarter size (depending on the length and thickness of your hair) and run it from the ends to the roots. Then for best results blow dry with a flat or round brush. The PhD shampoo and conditioner are a routine changing duo that keeps hair cleaner, longer reducing the need to wash your hair as often. These are sulfate-free, oil-free and silicone-free. 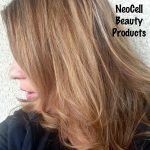 Since I have colored hair right now the sulfate-free was very important to me as this is something you should be looking into to help keep your color. The second thing that appealed to me was reducing the need to wash your hair. I don’t know if it is due to the chemicals I have used on my hair or not but lately I can barely make it past a day and a half before my scalp and hair drive me crazy. This is causing me to need to wash every day. My hope is the PhD products will help with this problem. I have used it twice so far and am still having the issues with my scalp. However I did notice that this morning after washing my hair yesterday that my style still looked pretty good. In fact I just put a few curls in it and was ready to go. I’m excited to see if after continue use I will be able to cut down on the need to wash my hair daily. I’m also going to try the “beach wave” style featured here in the below video. I will be checking in with you again next month to see how well my hair does after continued used and see if my “beach waves” turns out! I am taking the PhD challenge and I’m hoping you will sign up and join me! From Casual to Glamour What is Your Style? No Brush is Created Equal! You look lovely whichever color your hair is. Hope these work for your poor hair. Thank you, that is so sweet of you to say. I hope it really does make a difference and lets you go longer between washes. It really is hard on hair to wash it frequently. I’m hoping so, so far it seems a little better. I’m wondering if the itching is maybe because my hair dryer is so hot it is drying out my scalp. I can’t wait for you to check back in with us! If it cuts down on the need to wash your hair then I’m all over it! I will definitely let you know. Of course if you use too much product you have to wash more often but I don’t really put anything in my hair most days. I very rarely put anything in my hair! 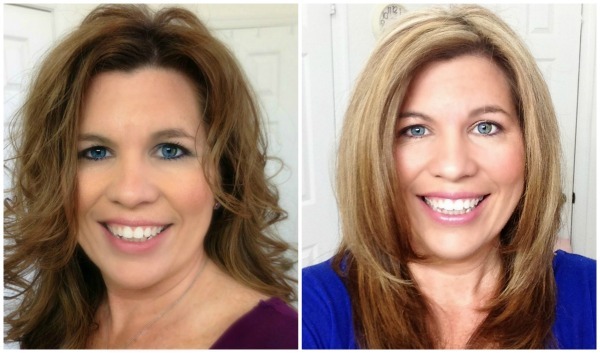 I dye it every now and then…usually some bright, crazy colors but other than that, no hairspray, mousse, or anything! 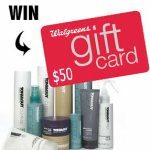 I like your hair and how these products made it look. 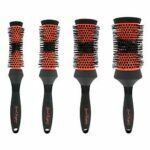 I like using high quality hair care products and these really look great to use to help my hair have body. You can really tell the difference between a high quality and a cheap brand. 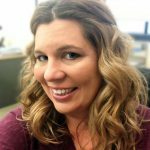 I love living proof products and have been using them for years. Really? Cool I had never heard of them until recently. This sounds like something I should get for my daughter to try. I really like that it helps get your hair cleaner. Her hair is so thick that sometimes it doesn’t look very clean because of the natural oils in her scalp. I will have to check it out. Thanks! Good luck I hope it helps! If your head is itching you probably need a different shampoo or conditioner, even if your hair looks nice after using it. I keep trying different stuff so I’m not sure if it is the shampoo or maybe I’m using the blow dryer too much it is super hot. I haven’t tried this brand before. I hope they work out well for your hair. Aniston is my hair idol, hers is GLORIOUS! I know I would still so love the Rachel cut it was awesome but her hair looks good no matter what. Coloring blow drying and believe it or not aging anf hoemones do a number on your hair. I like you with both hair styles you’re lovely either way. I love your hair! My hair is kind of crazy at the moment lots and lots of curls, but I’m not complaining but happy to have hair again no matter the color or curl! My hair is a big mess right now, and I’m just not sure what direction to take it. Yours looks great either way, but I love the effect the Living Proof had on it.